The Bishop of Diocese of Mamfe, Cameroon, Bishop Nkea Andrew has recounted how Rev. Fr. 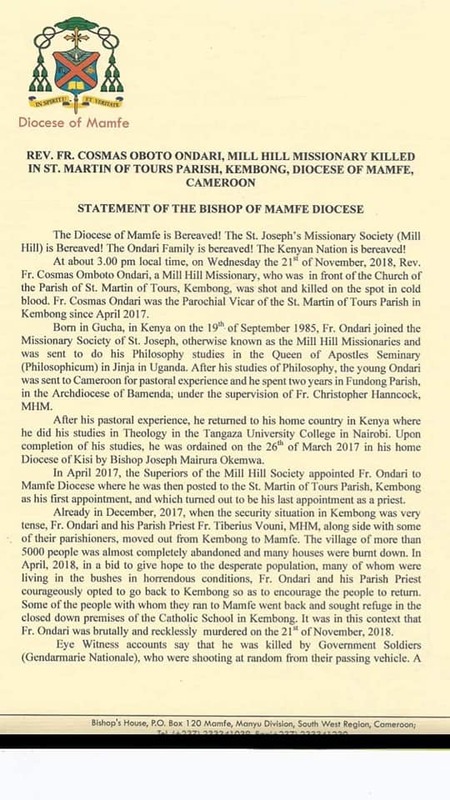 Cosmos Oboto Ondari, of Mill Hill, was killed the St. Martin Paris in Kembong. 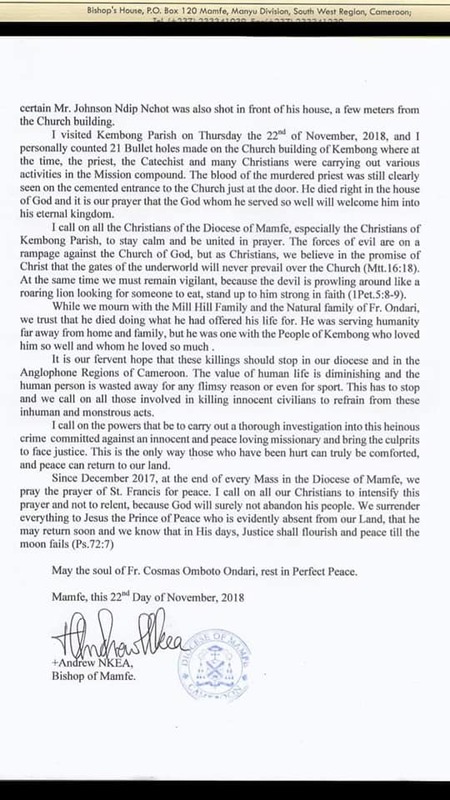 Bishop Nkea said eyewitness report states that the Kenyan missionary was shot by government soldiers who were shooting at random from their passing vehicle.